Use our Material Calculator or do it the old fashioned way! Figure it out Then: Order On Line For Next Day Delivery! Determine the General Shape of the area you need to cover. Is it a circular, square, rectangular or triangular area? If the area is complicated, draw a quick sketch and break the area into portions. Identify 1/2 circles, triangles, squares, and rectangular areas within your working space. Then measure the areas you need coverage for. Determine EACH material’s total quantity. For new gardens, use an 8-12″ depth of Garden Mix or Triple Mix, and a 4″ depth for the mulch. Add manure to the soil, and mix in if your new plants require additional composted materials. To top dress a lawn, apply 2″ of Triple Mix or Top Soil and a PREMIUM seed compacted into the top of the soil, then spread a starter fertilizer over the entire area. To apply mulch to an established garden, use 3″ of fresh mulch. Determine how deep you’d like the material to be in it’s FINISHED depth. (IN INCHES) Convert the inches into a fraction of a foot. 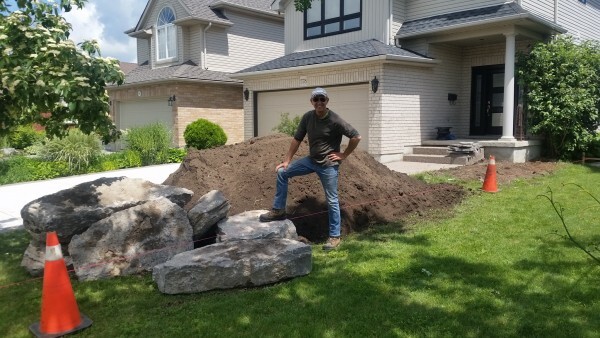 Then take your total, and divide it by 27 to arrive at total Cubic Yards. Add about 10% to the final amount to allow for measurement errors. 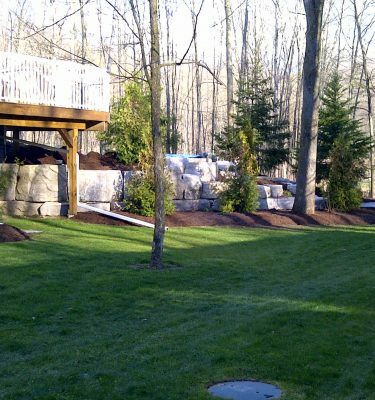 Round up to the nearest 1/2 cubic yard.